Launching in the summer of 2008, Airbnb taught the world that there is an alternative to both hotels and couch-surfing. Nearly a decade later, even my Mom is using AirBnb to rent out her guest room for extra travel money. And these days most millennials (the world’s largest generation, aged 18-35) prioritize travelling over buying a home or paying off debt. So the market clearly isn’t going anywhere. But before you go hosting strangers in your home for an extra buck, there are some things you should know. Several AirBnb regulations, city and state regulations, taxes and fees combined could hinder you (and my Mom) from being the host/hostess with the most/mostest. 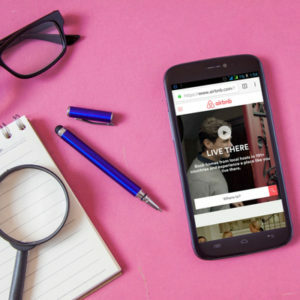 The Airbnb website currently has over 1.5 million listings across 34,000 cities in 191 countries, with over 60 million guests since their launch. Clearly such a large disruption to the tourism and housing industries could not go unnoticed in the economy. Some fast-growing cities where gentrification is an issue fear that people are buying houses just to rent them on Airbnb. Seattle, San Francisco, and others, are blaming Airbnb for the majority of their housing crises. The company has clashed with big cities around the world who would like to see some compromises in Airbnb regulations. Others worry that the hotel industry will be overshadowed like Uber has done to taxis. But since most millennials (the world’s largest generation, aged 18-35) prioritize travelling over buying a home or paying off debt, it’s obvious that the market clearly isn’t going anywhere. And since hidden hotel charges have been sticking it to the consumer for decades, it seems there’s room in the travel industry for other players. 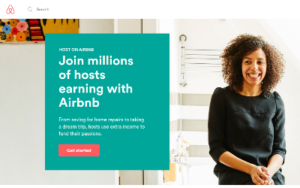 What About Airbnb Regulations and Fees for Guests? As a guest, it can be cheaper and a better experience to stay at an Airbnb instead of a hotel. 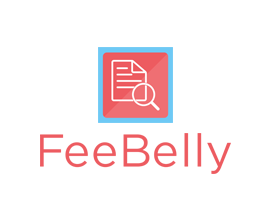 There are still some sneaky charges, but overall, the hidden fees of being an Airbnb guest VS. staying at a hotel are no comparison. And on average, most people who have used Airbnb don’t want to go back to hotels. According to a study by Busbud of hotel vs. Airbnb prices in 13 cities, Airbnb’s rates were cheaper in at least 8 of those cities. There is, however, a service fee for guests between 5% and 15% of the reservation total. This percentage goes down as the overall rental price increases. Aside from the ‘house rules of the host’ and general Airbnb terms, there aren’t many regulations for guests. Although staying at an Airbnb has some other potential cons, it is a widely enjoyed experience. So You Wanna Be the Host with the Most? Well, simply put, hosting on Airbnb can be somewhat of a legal grey area. On their website, Airbnb states, “These rules can be confusing. We’re working with governments around the world to clarify these rules so that everyone has a clear understanding of what the laws are.” This ambiguity is likely why some cities, like Montreal, are proposing simple strategies for new Airbnb regulations. In other places, however, the regulations aren’t mere suggestions. The city of Portland charges up to $5000 for renting out your room without a permit! Many cities actually have these zoning and administrative restrictrions to prohibit short term rentals altogether, or without a permit/license. Penalities and fines, as well as enforcement methods, vary locally. Specific Airbnb regulations for different cities are listed on their site, but it is best to check the local laws yourself. In addition to permit fees, and a standard 3% service fee on each transaction, other regulations and fees exist, too. Depending on where you live and how many days per year you host, you could have additional taxes to pay. These taxes could include hotel/transient occupancy tax, sales, income, and other turnover taxes like Value Added Tax (VAT) or Goods and Services Tax (GST). In some tax jurisdictions, Airbnb takes care of the occupancy tax for you. This isn’t everywhere though, and Airbnb reports to the IRS, so unaware hosts could be caught in a fee trap. Insurance and homeowners’ associations can be a concern for Airbnb hosts as well. The company offers insurance to US hosts in the event that their property is damaged or a guest is injured. The coverage is limited, however, so it doesn’t hurt to check with your own insurance company. You should also check with your HOA, Co-Op Board, or landlord to avoid fines for breaking the rules. Airbnb is sticking to the claim that many of these regulations are “unnecessary, complicated barriers to entry.” But for now, they exist and can rarely be avoided. Despite the Airbnb regulations and fees, there are a few ways for anyone (yes, even moms I guess) to get the most out of a hosting experience. Check the local laws, and know what you’re getting yourself into. Read the terms and conditions, and not just the clear ones, the fine print too.